I love finding ways to incorporate seasonal things into my classroom! 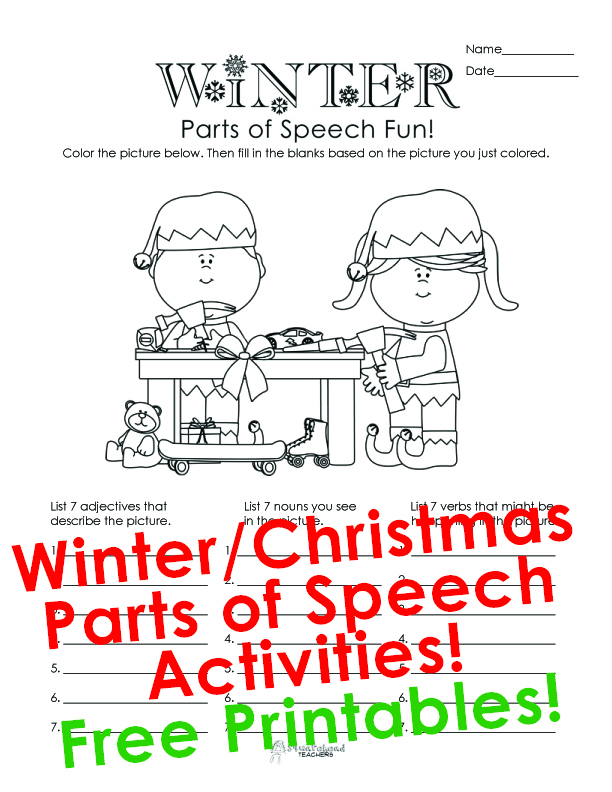 So I made these free printable winter/Christmas activity pages to help your kids review parts of speech (nouns, verbs and adjectives) while celebrating the holiday season! Enjoy! Click here to see more fun (and FREE!) Christmas/Winter activities for kids! This entry was posted in Christmas/Winter, Grammar, Holidays/Seasons, Language Arts and tagged Children, Christmas, Education, Elementary School, Grammar, Homeschool, Kids, language arts, parts of speech, Teacher Resources, Teachers, Teaching, winter by Squarehead Teachers. Bookmark the permalink.